NUEVO LAREDO, Mexico — Gunmen killed the mayor of a town in the drug-plagued Mexican border state of Tamaulipas on Sunday in a region where suspected cartel hitmen recently massacred 72 migrants, the government said. Hidalgo Mayor Marco Antonio Leal Garcia was the second mayor to be assassinated in the past two weeks in the area, which has become a battleground between the Gulf and Zetas cartels. 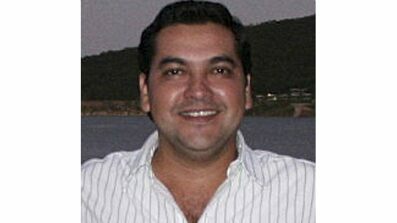 President Felipe Calderon condemned the attack on Leal Garcia, which left the mayor’s daughter wounded. “This cowardly crime, and the reprehensible violent acts that occurred recently in this state, strengthen the commitment of the Mexican government to continue fighting the criminal gangs that seek to intimidate the families of Tamaulipas,” Calderon’s office said in a statement. Leal Garcia’s rural town, Hidalgo, has about 25,000 inhabitants. It lies southwest of a part of Tamaulipas where a massacre survivor said Zetas gunmen killed 72 Central and South American migrants last week. Well, here we go back to the Arizona immigration law. Just to remind you .. the Arizona law did not give Arizona law enforcement authorities the legal right to do one single thing that federal law enforcement authorities could not already do. The problem liberals and the feds had with the Arizona law was that it would be enforced, whereas the federal law would not. So … Obama does a bit of Hispandering by sending his Justice Department after Arizona to stop enforcement of the law. The Obama administration is absolutely dedicated to the idea that illegal aliens should not be stopped from crossing the border into this country. So .. what’s new? Enter the UN Human Rights Council. Until 2006 this corrupt body was known as the UN Human Rights Commission. Throughout its history this body … by whatever name … has not been a friend of the United States. This commission specifically approves of Palestinian attacks on Israel … including rockets attacks on schools and hospitals. The commission will not specifically condemn the stoning of women and honor killings in Muslim nations because Muslims deem it to be interference in the internal affairs of a sovereign state. Do you remember when Sudan engaged in a program of ethnic cleansing in its Darfur region? Soon after Sudan was placed on the Human Rights Commission. In 2002 our own country, the United States, was kicked off the commission by the other member countries. The next year Syria, a member nation, demanded discussions of US “war crimes” in Iraq. So there you go — that’s the UN Human Rights Council we’re talking about here. Now every four years each member nation of the United Nations must submit to the human rights council a review of human rights issues in that nation. The Obama administration duly made its report .. and what did it include? Obama’s lawsuit against Arizona .. that would be what. In other words, Obama has, in essence, reported Arizona to the United Nations as being a human rights violator; telling the UN that the Obama administration protected human rights in Arizona by filing the lawsuit. Every single member nation of this human rights council has an immigration law and enforcement mechanism that is much more thorough than that of Arizona … but it matters not. They sit in judgment of Arizona with Obama acting as the prosecutor. That will teach Arizona for creating a politician who dared challenge The Chosen One’s ascendancy to the White House. At the Martin Luther King, Jr., Center for Nonviolent Social Change in Atlanta this July, an official at the memorial to one of the greatest civil rights leaders in the world – my Uncle Martin – removed a bullhorn from the hands of Father Frank Pavone, an internationally recognized leader of the pro-life movement. We were a group more than 100 strong, in Atlanta to declare that abortion is the greatest violation of civil rights in our day. We brought a wreath to lay at Uncle Martin’s grave while we prayed, but due to a King Center official’s barricade at the gravesite, we weren’t allowed. The National Park Service said that would constitute a demonstration. So much for freedom of assembly. Americans are hungry to reclaim the symbols of our liberty, hard won by an unlikely group of outnumbered, outgunned, underfunded patriots determined not to live in servitude to the British Empire. If we want to sing the national anthem at a memorial to the man who led this fledgling nation out of slavery, and made my people free, we should be able to send our voices soaring to the heavens. Glenn Beck’s “Rally to Restore Honor” this Saturday will give us that chance, and that’s why I feel it’s important for me to be there. Before the words were out of Mr. Beck’s mouth announcing the Aug. 28 rally, The New York Times noted that it would be at the same place and 47 years to the day since my Uncle Martin gave his “I Have a Dream Speech.” When asked why he chose that date in particular, Beck said he had not realized its significance, but in thinking about it, he saw it is an auspicious day to rally for the honor of the American people. He has said, and he’s right, that Martin Luther King didn’t speak only for African-Americans. He spoke for all Americans, and his words still ring true. Other groups are planning rallies and demonstrations in Washington that day, and freedom of speech gives them the right to do so – and to criticize me for not jumping on their bandwagon. But Uncle Martin’s legacy is big enough to go around. Though critics see it as partisan, Beck’s rally is not a political event, per se. Instead, it is designed to be a refreshing exercise of freedom of speech. The Rev. Walter Fauntroy, the non-voting delegate who represented the District of Columbia from 1971 to 1991, called on African-Americans to organize a “new coalition of conscience” to rebut the rally scheduled for Saturday at the Lincoln Memorial featuring Fox News pundit Glenn Beck and former Alaska Gov. Sarah Palin.